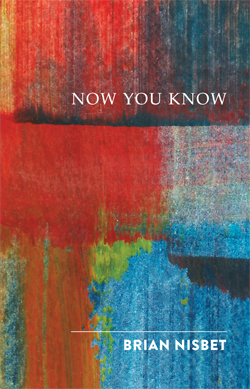 Join us on Thursday, 9 April 2015, from 4-6pm for the launch of Brian Nisbet's new poetry collection, 'Now You Know'. This event is free and open to all, but space is limited. Please email events@conted.ox.ac.uk with questions and to reserve a place. Scots-born poet Brian Nisbet's texts have been widely published in poetry journals, broadcast on Radio 3, and performed at the Edinburgh Festival. In 2007 after becoming ill with the life-limiting neurological disorder, Multiple Systems Atrophy (MSA), he focussed his efforts on completing his first volume of verse. Please join us for the launch of his collection Now You Know, as we celebrate a poet of compassionate insight who loves words and - above all - knows how to take mischief seriously. Brian Nisbet is an alumnus of the Diploma in Creative Writing programme at Oxford University's Department for Continuing Education. Many thanks to all who generously supported Brian's Kickstarter project in aid of publication, www.kickstarter.com/projects/773938580/now-you-know.